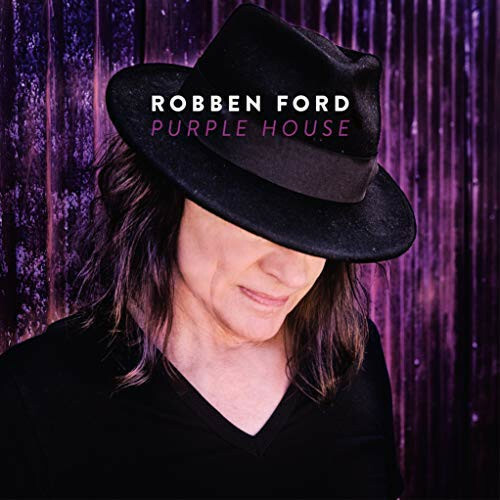 For almost 50 years Robben Ford has been inspiring both fans and artists of Blues Rock with his innovative guitar playing and his brilliant compositions. Ford's love of music was ignited at a very early age, so to speak put him in his cradle. Especially guitar playing became an integral part of his life very early on. To pass on the knowledge and the art around his instrument is very important to Robben Ford, which is why he still gives guitar lessons regularly today. With his new studio album 'Purple House' the gifted guitarist and songwriter effortlessly rides the waves of Southern Blues Rock. Catchy rhythms merge with rousing guitar solos. We also hear extraordinary guest musicians such as Shemekia Copeland, daughter of blues guitarist Johnny 'Clyde' Copeland. Customer evaluation for "Purple House (LP)"